A leading Indian online travel agency, +Cleartrip, is making efforts to promote its mobile app. But a reader - for the sake of anonymity, let's call him Bala - recently found out some serious issues with the app. Here's what happened. Bala wanted to book a domestic ticket. The fare was Rs 3,925. He used a coupon code to shave Rs 300 off the fare (the code is CTPLAY, by the way). The price magically went down to Rs 3,625. Happy with seeing that the Final Cost is Rs 3,625, Bala clicked on the orange Make Payment button, and was then taken to the credit/debit card payment screen. Bala suddenly noticed that price jumped up by Rs 425 all the way to Rs 4050. Wow. Thanks for bringing this to our notice. We've identified the issues that caused this error and are fixing them in a hurry. a) Rs 125: We charge a processing fee of Rs 125 per booking and to inform the user, this fee is displayed on our payment page before a user makes the payment. So the fare of Rs 3,925 will be updated to Rs 4,050. But when you apply a coupon code for discount (e.g. - 300). The amount shown is also removing the processing fee by mistake along with the discount. 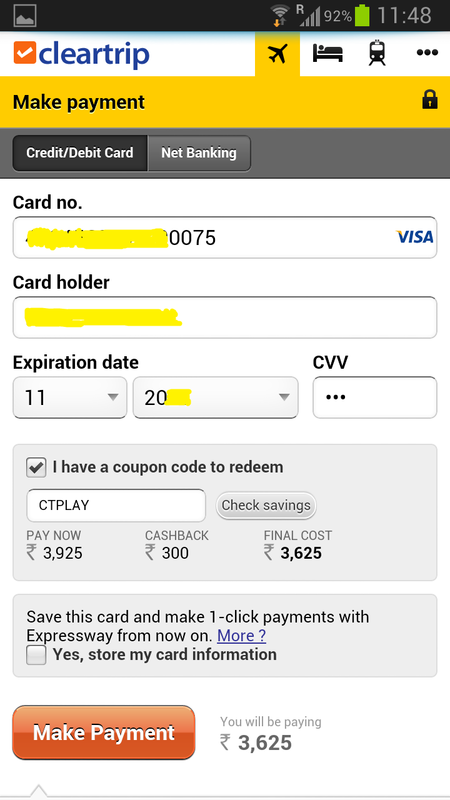 Hence you are seeing Rs 3,625 as total amount in place of Rs 3,750.
b) Rs 300: In order to avoid the misuse of our coupon codes, we've put a check that one code can be used only two times with a given credit/debit card. And as per our records, this code was already been used twice successfully (on your following trips XXXXXXXX62, XXXXXXXX58). Hence the discount was not applied. Unfortunately this check can only be done once the user initiates the payment process. 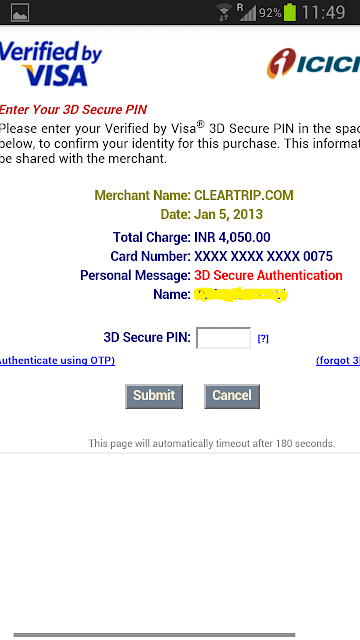 Hence the price increased by a further 300 to Rs 4,050 on the credit card payment screen. For such cases, we show a message to the user (about coupon being already used) on our desktop site and would add it on the mobile platforms also on priority. So the change of Rs 425 in total amount was genuine, however we were not able to prompt you adequately. We're terribly sorry for the confusion and inconvenience was caused due to this. Thanks again for pointing this out, we will be fixing both bugs very soon.